National Association of Teachers of Singing - April NATS Chat set for Sunday, April 7; Join panelist Lynn Helding to discuss "Teaching in the Age of American Idol: The Narcissism Epidemic"
What's New > April NATS Chat set for Sunday, April 7; Join panelist Lynn Helding to discuss "Teaching in the Age of American Idol: The Narcissism Epidemic"
April NATS Chat set for Sunday, April 7; Join panelist Lynn Helding to discuss "Teaching in the Age of American Idol: The Narcissism Epidemic"
Guest panelist Lynn Helding joins moderator Kari Ragan on Sunday, April 7, for NATS Chat. 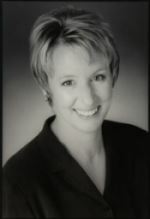 A Mezzo-Soprano, Helding’s many stage credits include the title role in the first American production of Luigi Rossi’s Orfeo, and leading roles with Harrisburg Opera, Nashville Opera, Tennessee Opera Theatre, and Ohio Light Opera. Helding’s artistic interests center on re-envisioning the solo recital as theatre that directly engages the audience, using repertoire that spans the classical to cabaret. NATS Chats are live online real-time discussions for voice teachers and singers. Topics vary widely and have included classical and CCM (Contemporary Commercial Music) vocal technique, vocal repertoire, teaching strategies, business strategies for private studio teachers, resources for university teachers, and arts advocacy. Guests have included prominent teachers, authors, composers, and artists. NATS Chats are now powered by Coveritlive. Participants can enter the chat room and participate by asking questions or simply observing the dialogue with others. All visitors are encouraged to announce their presence with a greeting to the moderator, who will take questions online and introduce them at an appropriate time during the chat. NATS Chats are usually held the first Sunday of each month of the academic year (except on holiday weekends, a summer hiatus June-August) at 10-11 p.m. Eastern Standard Time.